I’ve seen this light a while ago, while I was searching for the Jaxmnve M3 light. The UIs were similar back then (M-H-Strobe // Stepless dimming) so I didn’t pay much attention to the light. L-M-H // Stepless Dimming (after double click) // Strobe (after triple click). The light is 5 cm long, USB rechargeable. 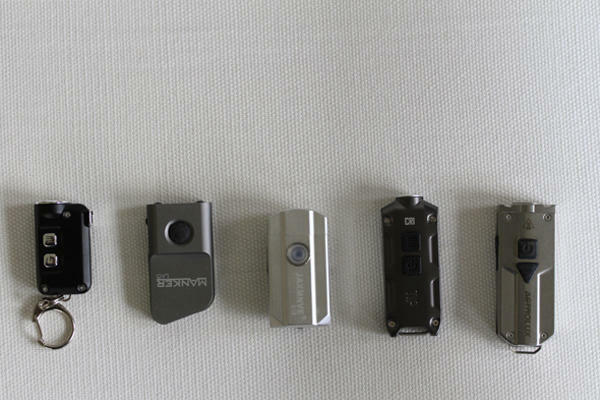 According to buyers reviews the light is about 200lumens (less brighter than the Nitecore TIP), and has a 220mAh battery. Has anyone tried this? I might give it a try, but wanted to know if anyone has experience with this? Hum, does it mean you have one or that you like the specs? oh sorry. No, I mean I like it and would like to purchase one. It looks like the Manker LAD. It seems as small as the LAD, at least Different UI and luminous levels, less expensive, but a not so good LED (as the Manker)! And probably less bright (200/250 vs 300). Nice find, looks interesting, will follow with interest. Sized similar to the LAD and based on single button UI. Cool tint LED and no secondary red LED though. Interestingly the Jazman E18 is indicated as being 11g heavier, perhaps a larger battery (would be good)? Count me in if there’s a GB coming. 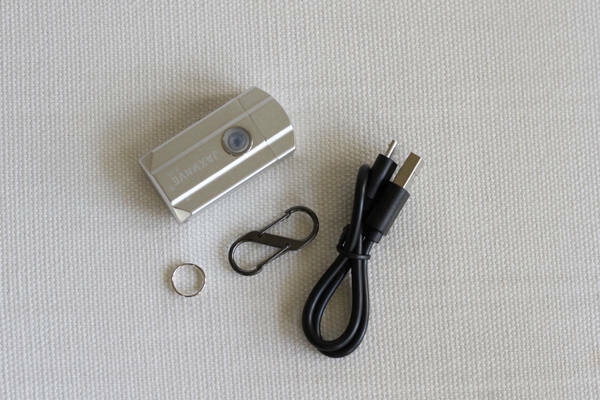 Hum, from the pics on AliExpress reviews, it is a small battery, 220mAh. Don’t know how big the LAD battery is. This one also has an attached pocket clip on the back, that seems to be reversible! Maybe that increases the weight as well! That’s disappointing about the battery size, was hoping for more. The Feedback photos show what looks like a solid metal bezel/head, so presumably some of that additional weight (relative to the similarly sized LAD) is additional heatsinking. Jaxmnve, that’s a mouth full. Might be interesting to hear from those who know the story behind it. Not this month, but soon I’ll get one, for me or for my parents or brother! It is small and can be useful to carry it around instead a big light!! Did you decide to get the JAXMNVE E18? If you did, I’d like to know your impressions. Thanks. I want one with a button (twisting my Glaree 3 times every time I want the high level gets old). But I’m reluctant to spend the $ for the Manker LAD or the Nitecore Mini. I was intrigued because I’ve been on sort of a rectangular keychain light kick lately and the E18 is the first that claimed to have a “stepless ramping” UI, so I decided to check it out. After a quick trial run, frankly there’s not much here that excits me about the light so I won’t do a detailed review. The Jaxmnve E18 is a basic economy light. Nothing outstanding, new or different. But for the benefit of others here’s a quick look and compare. Here’s a look at the light compared to some other keychain lights mentioned in this thread for comparison. Here’s a photo of the same lights, in the same order, lit. It’s a mixed batch, some XP-G’s and Nichia’s, some warm and some cool. Here’s a look at the business end. The XP-G2 emitter is cool-neutral with no objectionable off-tints. It throws relatively well and has good reach on High (250 Lmn) as keychain lights go. I was initially attracted to the E18’s “stepless ramping” UI, however the E18’s relatively narrow lumen range from low to high defeats the need for ramping. The low doesn’t go quite low enough and the high is not particularly bright compared to the top end of the other lights in the line-up. 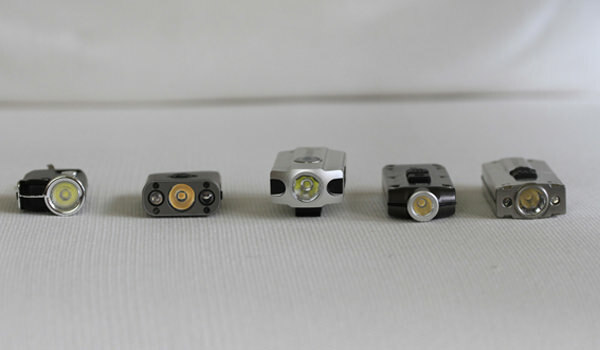 All three modes L-M-H and the ramping Min-Max fall within the middle-to-high range of the comparison lights. Thus the lack of direct access from Off to either Low or High are moot since there is no Moonlight or Turbo. 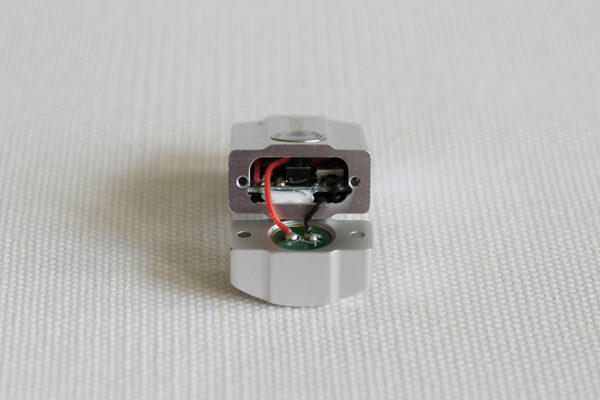 The Jaxmnve E18 probably works if you need something small (there are smaller), solid (I’m confident it would withstand being driven over by a car as one LAD reviewer did), and basic (one button; 3-levels). As for me. I’m moving along because there’s nothing to see here. which is your favorite of those shown? 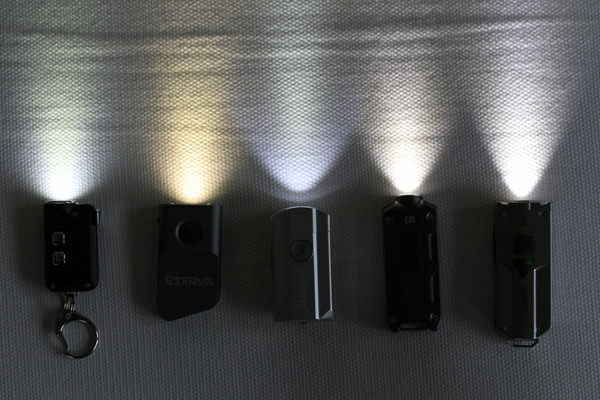 Of these, the Nitecore TIP CRI for it’s Nichia emitter, larger capacity battery, direct access to Low/Last Mode/Turbo modes, variety of body materials and colors, (sale) price and availability. No contest. The one improvement I wish Nitecore could make for the TIP would be better heat-sinking and/or mass for the LED. I think the E18 would be a much better light with a wider range of light levels, to take advantage of the ramping UI for a wider variety of uses. Well pc_light, you took “one for the team” on this!! I really seems well built (host), but then some things seem that could be better! Still I guess this would be a nice keychain light for a non flashaholic. Compared with the TIP, it is less good, however, right? I have one (XP-G2, not Nichia), and like it a lot! Maybe for a gift I can buy one or two, but not for myself!! Thank you so much for the short review on this! Rickw12 - for a basic light of this type, it's probably a descent buy. Being an optimist, I just had higher hopes. Thanks MascaratumB. Hope springs eternal. Yes, the E18 is a built like a tank basic light and to be fair it is priced lower than ANY of the others.